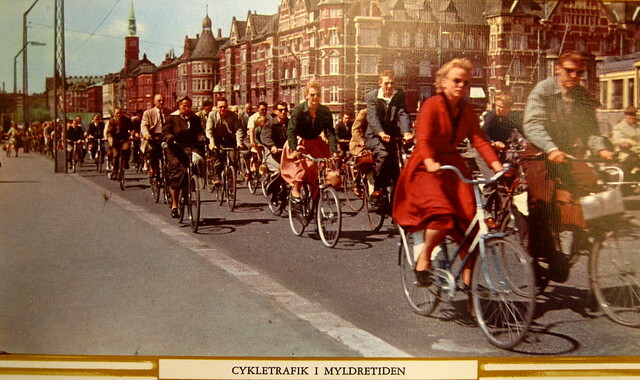 Sandra from the Classic Copenhagen blog sent us a couple vintage postcards from Copenhagen. This one, above, is postmarked August 5, 1938. It was taken on Østerbrogade. The bicycle lane in the photo - separated from the traffic by a curb - is back in place on the street. 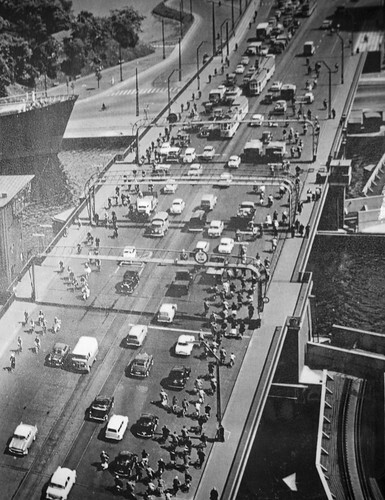 After the urban planning brain fart that was the 1950's and 1960's. No date on this postcard but I'm guessing early 1950's. Don't look at the postman in the middle for reference, the uniforms are largely unchanged. Again, bicycle lanes sending the Citizen Cyclists in a steady stream from A to B. Here's a shot from the City Hall Square. 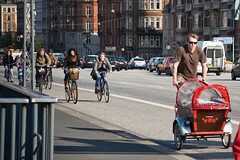 Citizen Cyclists in their safe and rightful place, free to move about the city. We figured we'd dig out our own vintage collection and add them to this post. 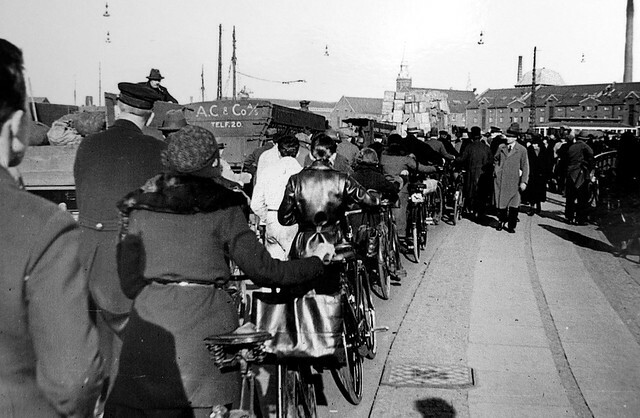 At times the bicycle traffic was so intense in the city centre that bicycles filled the width of the street. 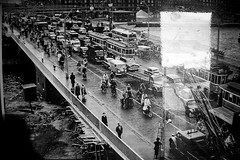 There were, however, fewer cars back then. Nowadays, of course, it's a different story. Requiring different solutions. A shot from 1955. Might have blogged this one before. Taken on Strandvejen, north of Copenhagen. About 8 kilometres from the City Centre. This is the morning rush hour. Gyldenløvesgade, around 1950. 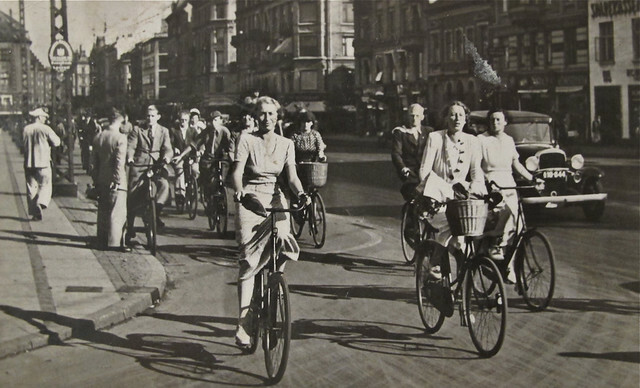 The width of the bike lanes was considerable even then and on this stretch they were even separated with leafy trees. Aerial shot of Langebro Bridge over the harbour. It looks much the same as it does today. Citizen Cyclists have their own lane on both sides. As you can see here from the 1950's as well. And here in 1975 and the present. 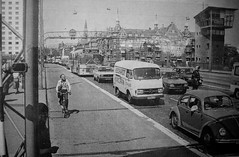 Elsewhere in Copenhagen during the late '50's and 60's bike lanes were removed when our urban planning started to revolve around the car. 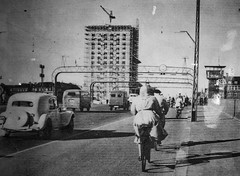 Langebro Bridge, however, has remained unchanged through the decades. 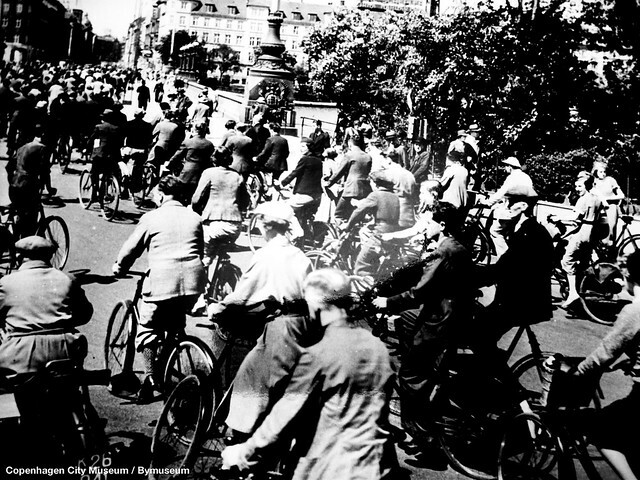 Bicycle Traffic in the 1930's. Cyclists keeping to the right. Early 1930's as I recall. In a city without automobiles, the two-wheeler is king. Those were the days. Interestingly, even on streets that lacked separated infrastructure [usually due to overwhelmingly high levels of bicycle traffic], Citizen Cyclists stick to the right, to the curb.